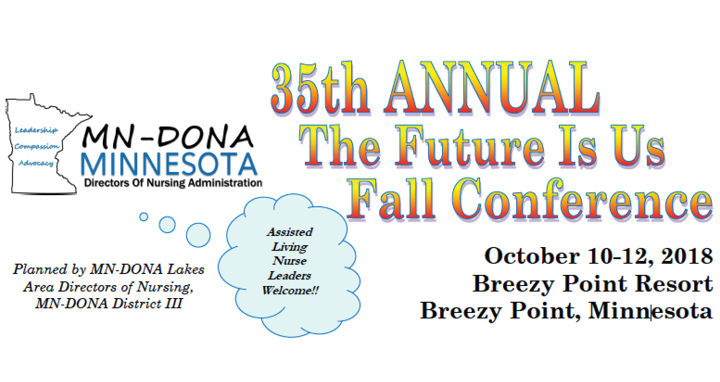 Minnesota Directors of Nursing Administration is hosting its 35thAnnual The Future is Us Fall Conference October 10-12 in Breezy Point, MN. This three-day event invites nurse leaders in long-term care to attend and discuss hot topic industry issues while reflecting on their personal and professional goals. Visit the Pathway Health booth #27 at the conference at the following times to network with Stacy Jones. Wednesday, October 10: 4:00 p.m. – 6:15 p.m.
Thursday, October 11: 9:45 a.m. – 11:15 a.m.
Can’t attend the conference, but looking to connect with our team? Contact us online.